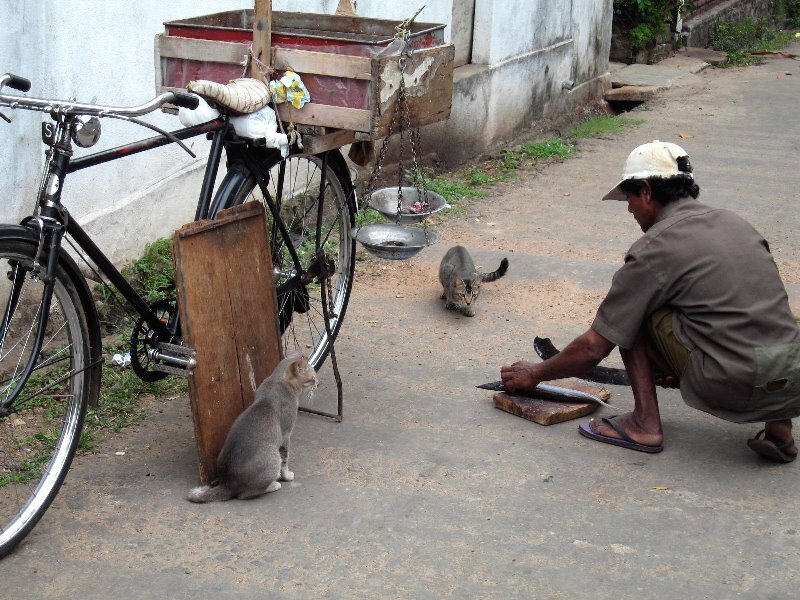 A slice of village, and capital city, life in Sri Lanka: the bicycle-riding fresh-fish salesmen who sing out what they’re selling in Sinhala, then put a little cutting board on the street, chop off the head, then give you the portion you want. In this, taken just a block away from our office, I partcicularly like the cats waiting eagerly to grab any fresh fish they can escape with! This entry was posted on March 26, 2007 by somuchworldsolittletime. It was filed under Sri Lanka .